Achieving full depth in the squat is critical to effective strength training. Squatting through the greatest effective range of motion best builds useful strength. 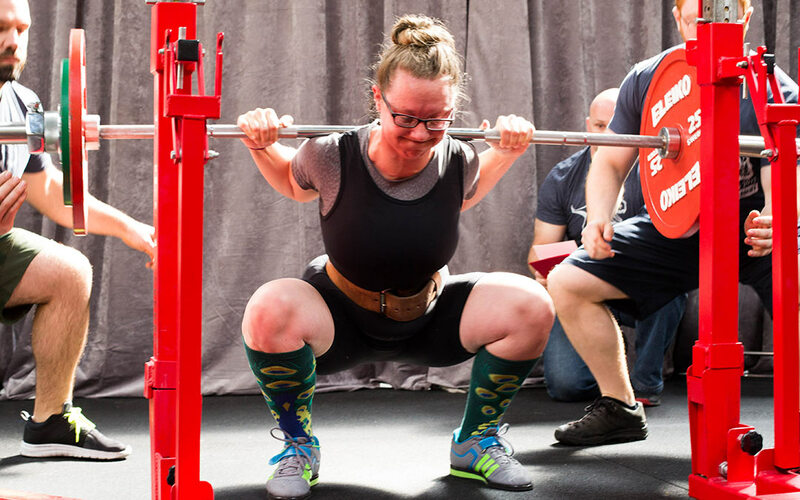 Full depth squats, in which the lifter goes below parallel — the hip joint dropping below the top of the knee — are also important for safety: partial squats produce unbalanced forces across the knee, whereas correctly performed full depth squats produce balanced forces across the knee. One challenge new lifters face is knowing where full depth is. This blog post will help you verify that you are achieving full depth, and offer fixes to some common problems that you can implement if you are having trouble. The bench press is a great exercise to build upper body strength, and for many people it’s their favorite lift. However, an extra degree of safety and attention is required of the bench press. The bench press is the only lift that can actually kill you. One of the most vulnerable parts of the deadlift is during the unracking and racking process. This video details the proper steps to safely and efficiently unrack and rock the barbell during the bench press. Deadlifting is one of the best things you can do for your back. Subjecting your back to a controlled stress that forces it to adapt and become stronger is good for your longevity and overall quality of life. 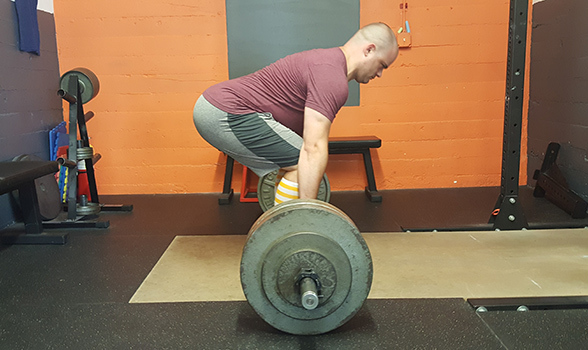 I am frequently amazed by how quickly routine back pain improves in clients after just a few weeks of barbell training – and deadlifting is central to this improvement. One common mistake made by novice lifters, even some who are generally attentive to detail, is to combine steps 2 and 3. Instead of bending over at the hips and grabbing the bar (step 2), and then as a separate step bending their knees to establish the correct shin angle (step 3), lifters may both bend over and bend their knees simultaneously. Almost always, this will result in an incorrect start position, with hips too low, the bar forward of the mid-foot, and the scapulae behind the bar rather than directly over it. 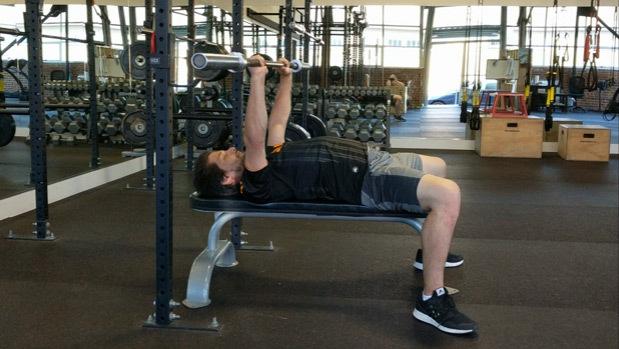 One aspect of the press that many lifters can stand to easily improve is the position of their elbows at the bottom (or rack) position of the press. 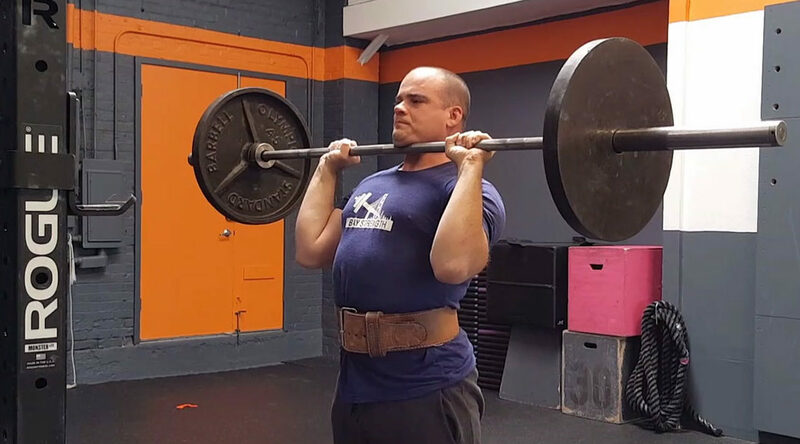 It is incredibly common to see lifters, especially those who have not yet received proper coaching, perform an entire set without correctly setting their elbows once. This article will briefly review where your elbows must be set at the bottom of the press, why this position tends to deteriorate throughout a set, and what you can do to fix it. Having a consistent rack position in the press is one key to effectively training the movement and making steady progress with it.